“Has the UK government leapfrogged the private sector to become the IT trend setter?” asks Information Age in a recent post that highlights the dexterity with which UK agencies have been tackling technology deployment in an effort to cut waste and increase efficiency. The article surmises that since the credit crisis, UK agencies such as the National Health Service have been so adept in utilizing open source software and Agile methodology that they are pulling ahead of the private sector, which finds itself bogged down by an estate of legacy systems based on proprietary software. This technical innovation has been driven by the government’s support of open-source solutions, agile delivery and cloud-based deployment, leading to cutting-edge and flexible technology platforms, which can be delivered quickly, at a fraction of the cost of commercial alternatives. If agile is applied correctly – defining the architecture and tackling risk from the outset, and then testing the delivery at every stage of its journey – a “no surprises end game” is achievable. This approach empowers decision makers in the organisation to make the right decision at the right time during an IT project. Agile quite simply makes it possible to keep a project on track and ensure it meets objectives, whilst delivering value. 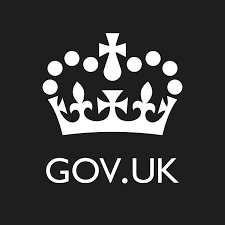 By encouraging the adoption of open source and agile, the UK government has been able to benefit from technologies that outperform their commercial alternatives while delivering dramatic cost-savings without compromising reliability or security. Once considered to be a follower, the UK government is now very much the trendsetter, and has leapfrogged the private sector.